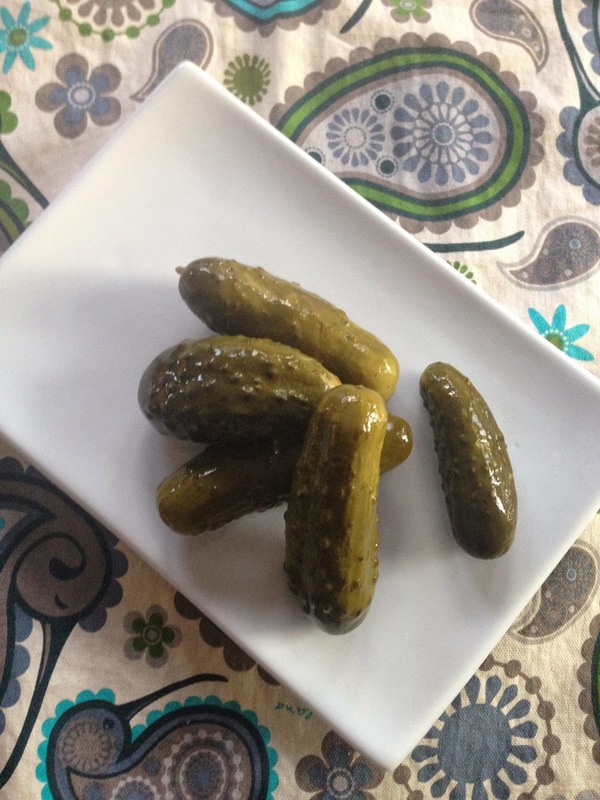 What do you do with your old pickle juice? You probably throw it out, right? Well, I usually use a bit of mine to make potato salad, but I too throw most of it away. That is until I received the newly released cookbook, "Oh She Glows". 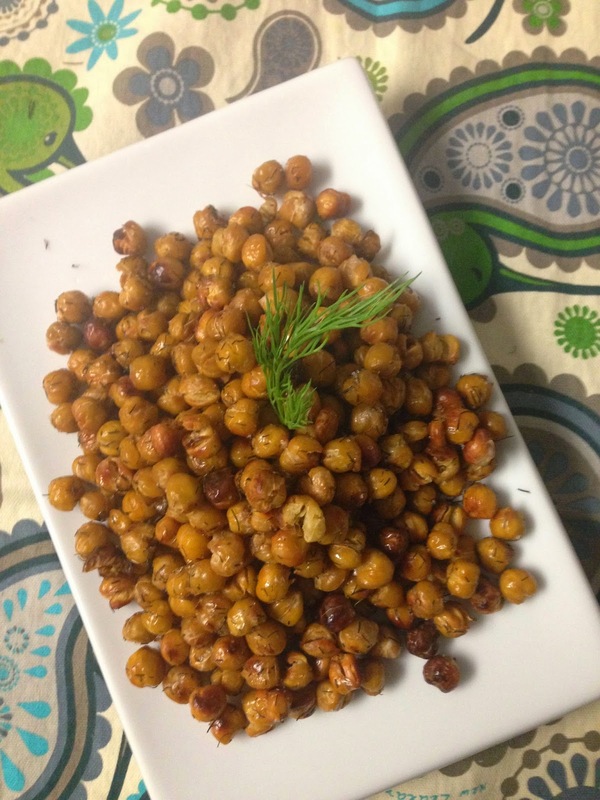 This new book by Canadian blogger Angela Lidden has received rave reviews, so when I saw a recipe for salt and vinegar roasted chickpeas, I immediately had the idea to use my leftover pickle juice instead of vinegar. The greatest thing about this snack is that it is both healthy and delicious. Try it out, and then check out Oh She Glows for the salt and vinegar version. 2. In a small pot, bring chickpeas and pickle juice to a boil for 30 seconds. Remove from the heat, cover, and let sit for about 30 minutes. 3. 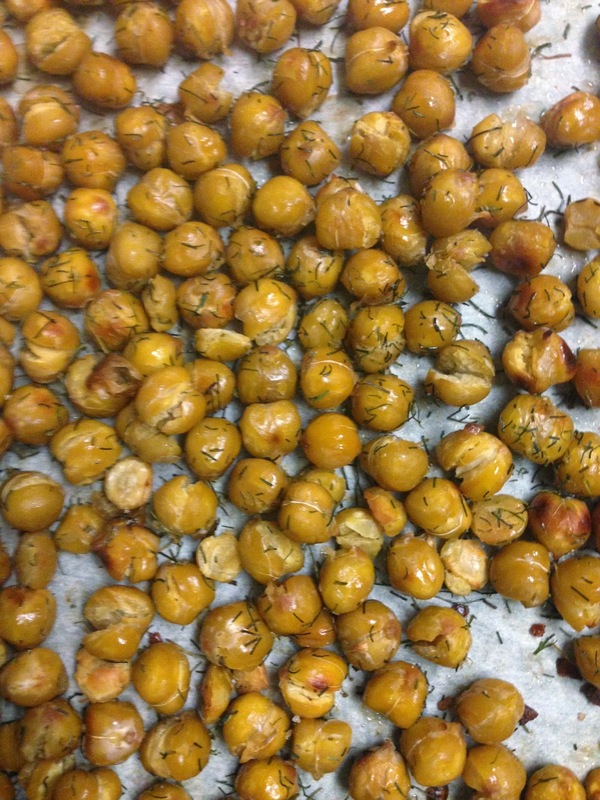 Drain the chickpeas, drizzle with olive oil, spread on a parchment covered baking sheet, sprinkle with salt, and bake for 20 minutes. 4. After 20 minutes, shake the chickpeas on the sheet, sprinkle with the dried dill, and bake for another 20 minutes until charred and crunchy. If they are at all soft, they are not done. 5. Let cool for about 5 minutes to further crisp up, and then enjoy! 1. If you have any leftover, pop them back in the oven to get crisp again before eating.